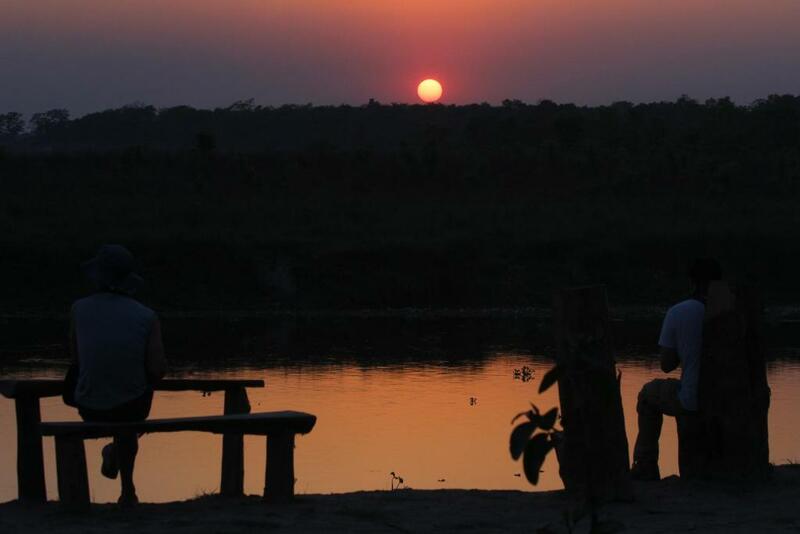 Lock in a great price for Jungle Sunset Camp – rated 8.3 by recent guests! I really liked this place. 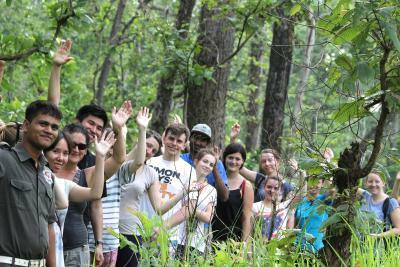 A friendly staff who go out of their way to help you, including taking me on a long nature walk for free. They definitely make you feel at home. The location is right on the river with wildlife walking by occasionally. The food was very good and the atmosphere is relaxed. 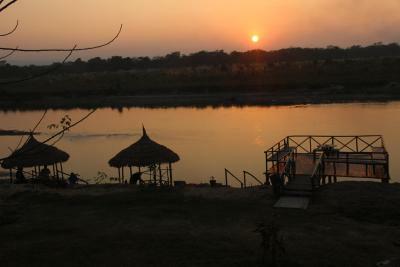 It’s a ten minute walk to the safari starting point and the manager was great about organizing what ever I wanted to do from canoeing to safaris and more. 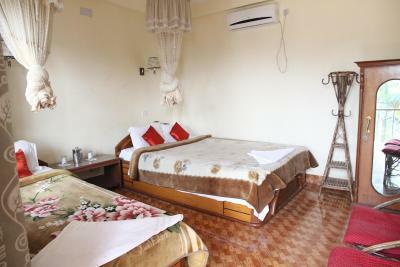 It was also an excellent value with nice rooms at a cheap price. The location is quite, yet not far from many stores and restaurants. I would stay here again. 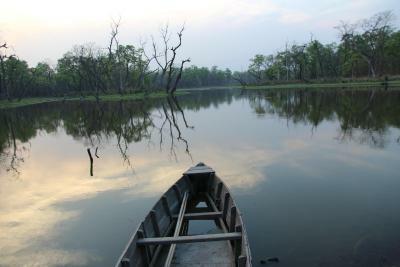 The environment was so peaceful, and yet, there were great opportunities to get out and experience Chitwan National Park. The hotel had reasonable rates, provided transportation, and helped with all the event ticket logistics. I just enjoyed. 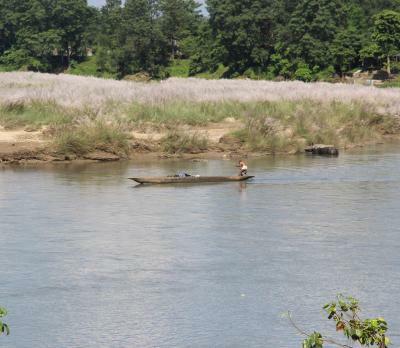 The hotel location is very good, you have a direct river view. The stuff is very friendly. We loved the location! The guide on site was really helpful, and the staff was great. They gave us a free room upgrade. Room was large, modern and very clean. Really comfy bed. 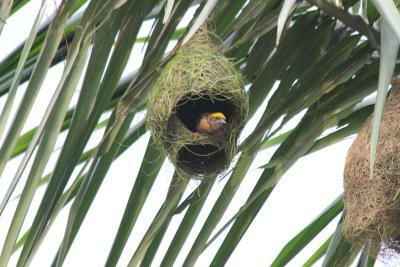 Nice mid range accommodation. The staff were very & the food was really good. Location is perfect. 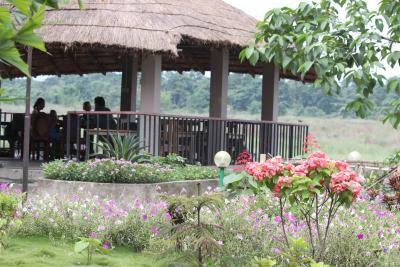 Right on the river bank in peaceful and tranquil place. 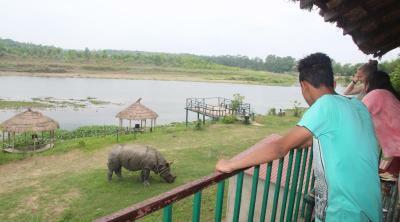 10 minutes walk to the center of Chitwan. 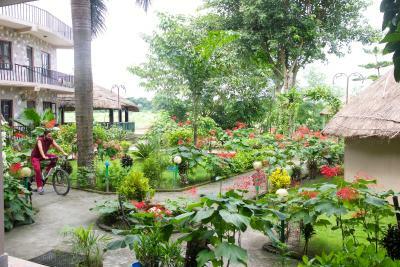 Hotel is rather basic, but clean, cosy and staff is very friendly. We were hosted as real friends. It was so nice to spend time near the river! 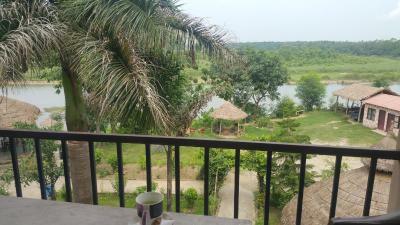 We had booked jungle safari, elephant ride and canoe trip directly in the hotel and were happy with quality of our program. Highly recommend to order chicken barbeque! 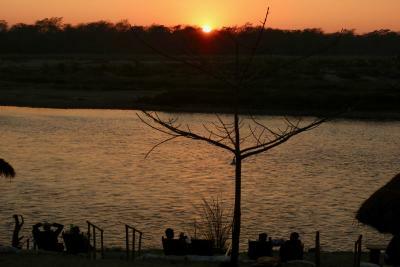 We ordered it in advance, staff cooked it right near the river and barbeque was absolutely amazing. The staff is very very nice. They have a guide who knows very well the park and is very interesting. The hotel is close to town by walk and the food is delicious. I recommand this place. 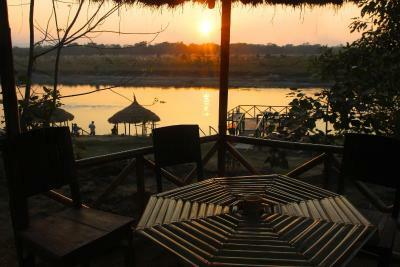 Featuring a garden, Jungle Sunset Camp is set in Sauraha and also provides a terrace and a bar. 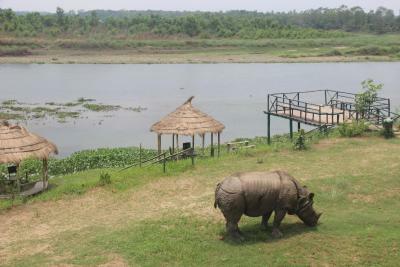 The property is located 650 feet from Chitwan National Park. Free WiFi is available. 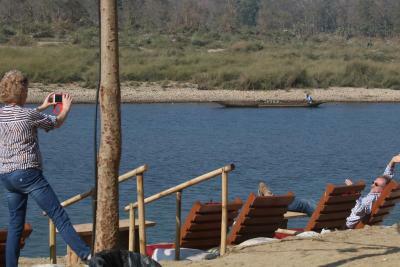 At the hotel, every room comes with a terrace with a river view. 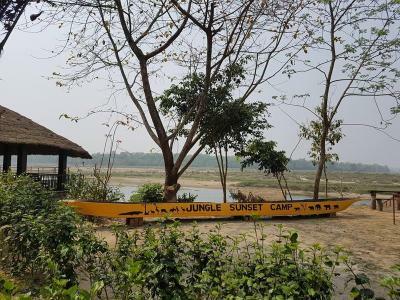 Jungle Sunset Camp features certain units that include a balcony, and the rooms include a private bathroom with a bath or shower and free toiletries. At the accommodations every room has a seating area. 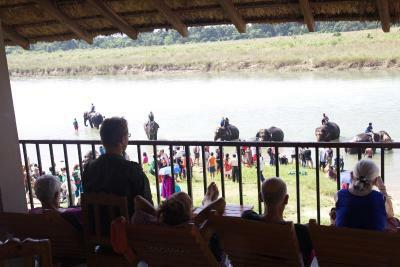 The area is popular for cycling, and bike hire is available at Jungle Sunset Camp. 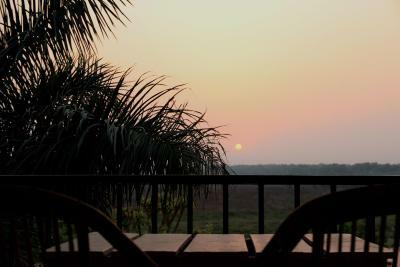 When would you like to stay at Jungle Sunset Camp? This twin room features a balcony, tile/marble floor and view. 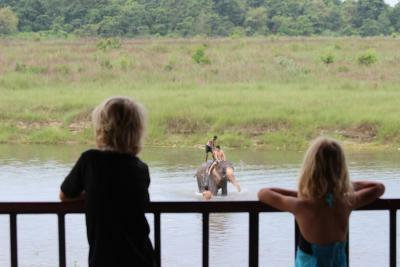 House Rules Jungle Sunset Camp takes special requests – add in the next step! Jungle Sunset Camp accepts these cards and reserves the right to temporarily hold an amount prior to arrival. I ordered a breakfast once and each and every part of it that I got was confused (basically I got completely something else), but once I told about it they fixed it. The balcony is at the same time an entrance to the rooms, not a separate balcony for each room. During my stay (end of October) there were several Indian groups in the hotel and they were extremely loud (especially in the morning slamming the doors - those you need to hold for closing quietly which they didn’t do), so I couldn’t enjoy the peacefulness fully. We came in low season so there were not many other guests and we felt very pampered (we even got upgraded to a deluxe room Free of charge). The service is great, the food is amazing and the property is wonderful. 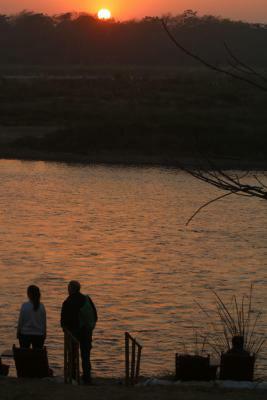 Directly at the River and the sunset was indeed beautiful to watch. 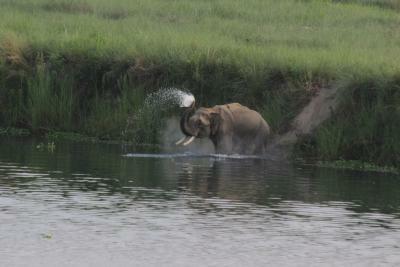 Also our guide from the hotel, Naresh, was extremely good. The shower could have been warmer, but being served breakfast overlooking the river made us forget that. The bed was a little hard but with and extra blanket underneath it was fine. The location was amazing! 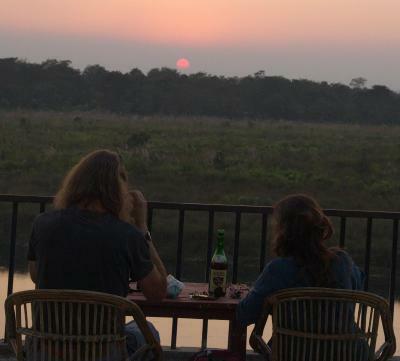 You could sit by the river and watch the sunset and look across at Chitwan National Park. The staff were so nice, really helpful and friendly. My mother was sick so they brought her hot water bottle and extra blankets. The food served in the hotel was really nice too. Really great hotel. WiFi connectivity was poor. Room rent high by 25 percent. Over all it was good. Staff Was very supportive.